Association Leadership | Sharing the Presence e.V. 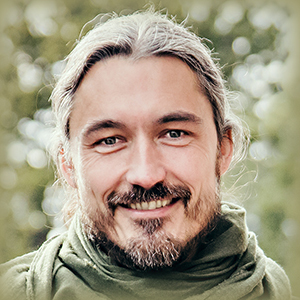 Thomas Hübl is a modern mystic, spiritual teacher, author and systems-thinker. His work integrates the essence of the great wisdom traditions, scientific knowledge and his own personal experience. Thomas offers a unique approach to life as a ‘mystic in the marketplace‘ and helps people to attain a deeper level of self-awareness and personal relationship, and to transcend a ‘culture of the personal’ and a self-centred worldview. Through his work, people from all walks of life learn how to become a living expression of spirit and how to participate in ‘we cultures’ through an embodied inner and outer connection. His teachings combine transformation through integration of trauma, somatic sensitization, advanced meditative practice, and a deepening understanding of culture processes. Since 2004, Thomas’ leading-edge work has spread worldwide through workshops, multi-year training programs and online courses. The non-profit ‘Celebrate Life Festival‘ brings together more than 1,200 people every year and has showcased a wide network of experts in various disciplines, through dialogue and exchange. In 2008 Thomas founded the ‘Academy of Inner Science‘. This provided a framework for dialogue between the inner science of consciousness and the external scientific-academic exploration of life. Over the years Thomas has also organized several major healing events, aimed at healing the Holocaust’s cultural shadows. Thousands of Germans and Israelis have been brought together through these processes. In 2016 Thomas founded the non-profit ‘Pocket Project‘, with the aim of exploring collective trauma and shadow work and integrating this through large-scale group processes. A global organization has been launched, intended to research and explore specific aspects of local traumatization. This applies both to past traumas and also to current conflict zones. Ute Kostanjevec was born in 1963 in Cologne in Germany and is currently living in the Seminar House Oberlethe, close to Oldenburg in Lower Saxony. For over 12 years, she has been working organizing seminars for Thomas Hübl, and since 2011 she has also been his personal assistant. She has been the second chairperson of the non-profit association “Sharing the Presence e.V.” since 2010. Her spiritual path has combined over 12 years of professional experience with a personal calling in a complex way. 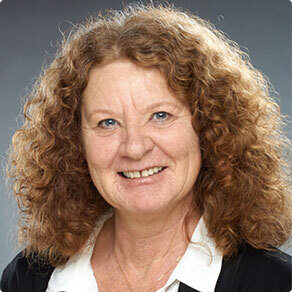 Ute Kostanjevec loves and lives organization, team guidance and innovation. She is always excited about and is passionately committed to learning new things, bring new things into the world and create and simplify new structures. Ute Kostanjevec has been part of the coreteam of the Celebrate Life Festival for many years and is now more involved in the Pocket Project. SHARING THE PRESENCE E.V. © 2019. ALL RIGHTS RESERVED.